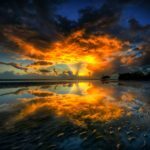 Speculative Faith | Christian Fantasy Fans: What’s Your Highest Purpose? Christian fantasy fans have a much greater purpose than merely doing ministry for others. Someone else responds with a (usually respectful) objection. The person repeats the same previously answered notions they said before. We keep going in (non-magical) circles. To avoid these circles, I try to point to the topic’s real center of gravity—that weighty center that the whole discussion ends up orbiting but never actually lands upon. Q. Whenever we talk about fiction, fantasy, and fictional magic, what is the Christian’s chief purpose, or core identity? Such responses so easily, even gaily skip past such a crucial, pivotal theme for the Christian’s very purpose in life. It’s like someone is trying to communicate an entire textbook worth of ideas when I’m not even convinced he can draw the alphabet. I realize this is the internet, and we all fancy ourselves writers because we can put together anything we like and find instant publication and instant audience. 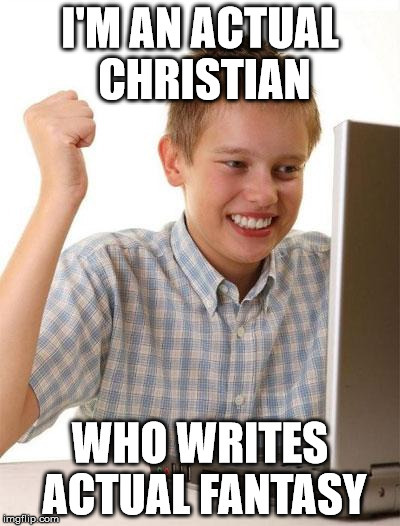 But writer is not the Christian’s chief purpose. It is not the Christian’s core identity. 1. This assumption casts ourselves as big darn heroes. Often I wonder if some Christians, who are either in “the ministry” proper, or subconsciously suspect they should be, can’t help think of themselves first as big darn heroes. Maybe we assume—so far back in our hearts that even reading the assumption aloud looks bizarre—that we’re qualified heroes who can “save” all those Impressionable People from bad stories and art. Yet we don’t even stop to question if we’ve figured out this whole story/fiction/culture thing in the first place. We “think globally” without acting locally—starting with ourselves. 2. This assumption speaks only about other people. There’s a kind of well-meaning Christian “unselfishness” that focuses on helping, teaching, or otherwise leading our human neighbors, while skipping a huge primary purpose for the Christian. In other words, that big-darn-hero may sincerely want to help all those weak folks out there. They proceed as if they have just mastered the basics of the faith, so that they are already strong and wise enough to spend the rest of our lives simply helping The Weak (like impressionable children). But if we don’t constantly, consciously review and focus upon our highest purpose, as taught and always assumed in the Scripture, we’ll end up worshiping ourselves. Instead of serving our neighbors for God’s sake, we will slowly begin to crave the social approval, ministry platform, or influential roles that can feed our quiet idols. I haven’t even gotten very far up this “enjoying stories biblically” ministry ladder. But already I feel these temptations from every side. So I can imagine what it’s like for someone who does ministry full-time, writing books and speaking at conferences. 3. This assumption can make God a means to other ends. A. 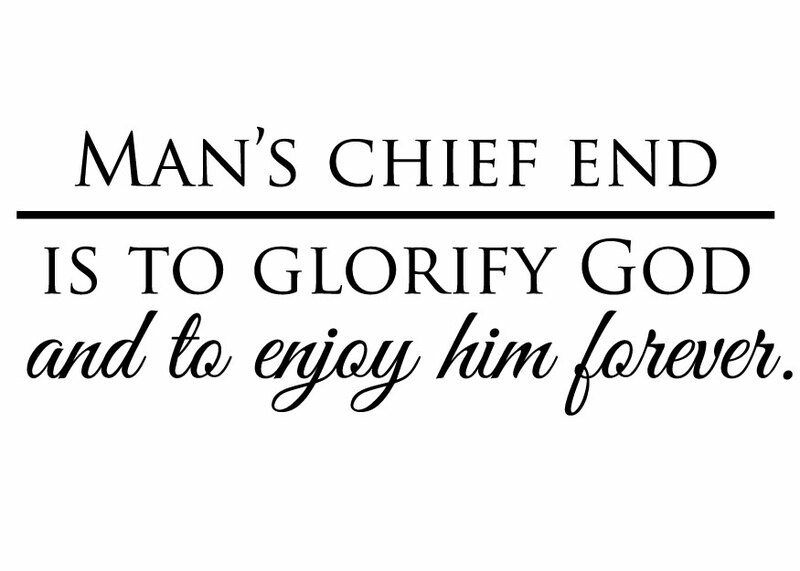 The Christian’s chief purpose is to glorify God and enjoy him forever. This means my core identity can be summarized in one word: God-worshiper. Not author. Not writer. Not creator. Not ministry leader. Not parent, discerner, teacher, preacher, pastor, defender, or holy internet Bible pulpit word blog-running guardian of the sacred orthodoxy against all true doctrine compromisers both foreign and domestic. Even in our language, even in our passing comments, if we skip directly to all those other callings (which have secondary importance! ), we’ll be vulnerable. We’ll be left open to assaults from our own flesh—it’s always looking for some chance to twist good gifts into self-worship—and we’ll make God-worship a means to other ends. We’re not all writers. We’re not all big-darn-heroes. We’re not, first and foremost, the saviors of this fiction genre or or this church or this human culture. Especially if we are asked directly, we must think and speak first of ourselves as God-worshipers. Only then can we begin to reform any of the flippancy, sinful twisting, or made-up traditions on which we’ve based our view of culture, stories, and fictional magic. Only then can we quit trying to “save” others and recall we ourselves need a Savior. Only then can we stop trying to be big-darn-heroes and clear way for the real Hero. Amen, brother! I often slip into “my purpose is to lead others to Jesus” which IS part of His call on us….but before there was sin or redemption or a need to share the Gospel with others, there was creation and Eden and the first call to simply praise and worship Him. Love how you dug into the attitudes we slip into in this blog. I agree with Sharon — who is well-qualified as a minister in this space. Stephen- this post felt like a tall glass of cold water. Refreshing! And filled with piercing, biblical insight that we all need. One thing I think about fairly frequently is that we weren’t saved to go to heaven. We were saved to be united with Christ now–stretching on into eternity (which is what I hear you saying). Ministry is secondary to worship/prayer. And ministry must flow OUT of worship/prayer, or else we’re harming ourselves–and likely harming others. Why should we preach the gospel and then let ourselves be disqualified? Why does the Gospel matter? Because it’s the good news that we can be unified with Christ in his purity. If we preach it but don’t walk it daily, we’re worse off than we were before we heard about him. Good points. It’s so easy to identify first as “writer” or rather “Christian writer” & forget our purpose on this planet. Thanks for the reminder. Content warning: I have some meta-commentary because my contrariness is feeling aggravated today. Feel free to scroll past. This, this article right here, feels like respectability politics. And respectability politics feel inauthentic. Because Christian (Midwestern/Southern American) culture is still leery about the nature of Enjoyment. Because after you turn 14 or so, fun is suspicious and most likely SINFUL and so you have to temper your fun-having with enough piety to make it respectable again. The small group can’t just go to the coffeeshop for a good socialize, we have to spend ten-fifteen minutes on some perfunctory “edifying” content. In short, I’ve given up on respectability politics because the game is rigged and the rewards, to me, are nowhere near worth the efforts. And I have very many convoluted feelings when I see people maintaining this pointless, unfair game. It makes me question what they get out of it, to participate in and keep propping up this fakery. So how do YOU benefit from maintaining the bourgeois conventions, hmm? I don’t pray because it’s pious. I pray because I enjoy it, because it frees me to enjoy life in purity, because it burns away my desire to sin–and life is a whole lot more enjoyable that way. It’s hard to believe you don’t realize that you’re vilifying people for beliefs they don’t hold. To live a life focused on worshipping and enjoying God above all things is the MOST authentic life you can lead. I’ve had my fill of “church politics,” same as you. I’ve also had my fill of people constantly in a huff about something. I’m down for the enjoyment of life. No argument from me on that front. But Christians don’t talk about the enjoyment of life. Not in of itself, there is pretty much always some pious sounds about enjoyment IN THE LORD and addendums about glorifying God. It’s all in the framing. If you can’t mention enjoyment without the IN THE LORD bit, then the implication is we have to be specific about what kind of enjoyment is permissable. Which implies the existence of enjoyment that is not permissable, which is implied to be the non-Jesusified fun. It’s not a perfect (or maybe not even a good) example, but take your prayer life. You’re probably just fine, and I have no interest in poking holes in it, but what if you were in a culture that references prayer journals constantly and everybody pulled out their prayer journals to compare notes and the Pinterest-y and twee ones garnered the most positive attention. What if you didn’t keep a prayer journal? What if you kept a journal that wasn’t about prayer? You think people wouldn’t give you a bit of side-eye over that, if you’re not participating in their culture? I don’t answer to them. People will be people forever. Wherever you go, you’ll find people you dislike and disagree with. You’ll find people who care about what doesn’t matter and who praise the wrong things. It has nothing to do with the central truth Stephen was getting at with this article: “Don’t be puffed up in yourself and think you’re the Savior. You’re primarily supposed to just be a God lover/worshipper.” You’ve confused that with totally irrelevant behavior by people who live out contradictory beliefs, as if being primarily a God worshipper causes the things you find irritating. It doesn’t. It fixes them. Which is why I said you were confused. But maybe a more accurate statement would be: “You’re off-topic.” Your complaints about personal annoyances with ironic cultural norms in the church are irrelevant to the discussion. But regardless, constantly pointing out flaws in other people / cultures you find irrelevant easily ends up being destructive, and often serves your own ego more than any actual positive change. Certainly there’s a place for pointing out the need to change. But frequently blasting people off is a poor way to do it. Well, good for you that you’re in a position where potential social threats don’t affect you. At least you’re honest about it and open to hearing perspectives. I appreciate that. I’d be lying if I said it didn’t affect me emotionally. But to let people’s opinions bully me into changing my behavior is a different level. For the record, I’m extremely conservative and have zero desire to establish authoritarian control over people. And I know plenty others like me. The respectability politics you point out can be bad, but it would be a mistake to think that just because people try and make their actions, career, etc. have a purpose to them that they are playing respectability politics. Like… a lot of the hobbies I have possess some purpose or other, and the ones that have a less important purpose for me have fallen by the wayside. I like to crochet, but unfortunately, I don’t really have the time for it now, especially when it isn’t really going to help me obtain the funds I need to move out and make a living. It’s not that crocheting is bad, but right now I don’t have all the time in the world and need to prioritize. My other hobbies (primarily writing and drawing, though to some lesser degree this also includes reading and watching anime) have a very prominent purpose as far as building my career goes, so my attention they have. But…there’s also a spiritual component to my story centric hobbies, along with a try-and-help people component. And, well, it kind of tends to help my relationship with God as a whole. So I put a lot of effort into weaving spiritual matters and interpersonal issues into the story in a natural and deep way. Spending all that effort to give the stories a purpose isn’t a burden, though, because it involves writing about struggles I’ve dealt with and that are therefore important to me on a very deep level. It helps me work out and understand how I feel about things, and articulate them in a way that is far better than I could ever achieve in a simple conversation. And then, I hope that now and then writing like that can help someone else, too, though I would still enjoy writing even if it didn’t help anyone. So…like, there are some people that play respectability politics, but there are still plenty of other people that talk a lot about integrating purpose into their writing and day to day activities WITHOUT playing respectability politics or feeling unhealthy pressure. That’s half my point, that the people who go to the effort of making stories/doing a hobby like crochet is that they find an intrinsic value in it. So why do they pile on some extra pious sounds about it? To give it an extrinsic value that the people who side-eye their hobby will accept. Crochet is generally seen as harmless enough that it doesn’t need much justification, but art could be WORLDLY *gasp*. Why do Christian authors make so many sounds about using their work to evangelize? Especially when it pretty well stinks at that stated goal? Because there is an unstated goal that it actually accomplishes, and coincidentally (lol not coincidentally) evangelizing is the number one extrinsic value in Christian subculture. The system you talk about here is real. And its source is the misplaced notion that life is primarily about doing things rather than enjoying God and worshipping him. Which is exactly what Stephen’s criticizing in this article. Is he, tho? He was doing marginally okay in the first two points, but we got lost in the weeds in the third point. Like, the way he was framing it is that we’re not allowed to be artisans without Jesus (or your church peeps in the name of Jesus) looming over your shoulder. Notleia, part of the whole article from the get-go was to try to get us to stop thinking of ourselves first as “artisans”. This is exactly the kind of “savior complex” human beings have when we try to wrest the gift (of creating and enjoying created things) away from the Giver (who is, indeed, Jesus Christ). No, I don’t see that. Artisans =/= white knight fantasies. It’s an issue of magnitude. The key word in Stephen’s italicized comment above is “first.” I see myself as an artist but not as PRIMARILY an artist. That keeps me from “white knight fantasies.” Every single professional artist I’ve ever met attests to the truth that this is a common pit to fall into. The only cure is not finding your identity in it. It’s a reality that has been proved through my life experience too many times, and in the lives of many, many, many others that I know. There are plenty of people with the white knight fantasies without the artisan angle. Take all the apocalypse preppers. This just seems like a very ackbassward way to talk about the issue. It’s about identity, yes, but I have a sneaking suspicion that the fantasies can also attach themselves to a Christly identity. Like all the street preachers I suspect have a white-knight fantasy about how they give just the right zinger so that the liberal snowflake atheist will drop to their knees and spout the Nicene Creed or something. ….How exactly am I supposed to respond to you accusing me of being high? I had quiche last night. I played Stardew Valley. I fed my Oldcat when she mrrfed at me every 3 hours. I think the way he framed the point was off-kilter and ineffective. So far you haven’t changed my mind on any of that. At least you have good taste in games. Different Christian authors talk about evangelization for different reasons. Sometimes it’s because they are playing politics, and other times it’s because evangelization is important to them personally. Every action, statement, etc. has any number of potential motivations, so it’s a mistake to project the same motivations onto everyone that reminds you of evangelization politics. Another thing I’ve noticed with this issue is that, for me personally, I might engage in a conversation about the worth of fiction to Christianity or evangelization or whatever, simply because someone brought it up and it’s an interesting conversation. Or, because I don’t agree with what someone is saying about fiction. It’s not because I need to sound pious to others or live by their approval. And that’s important for the system thing you brought up. There’s probably a pretty decent amount of people that see this like I do, so there’s less people actively participating in that system than you think. As far as how to dismantle that system or keep it from being less of a problem, part of it comes down to encouraging some aspects of independence that I talk about. I don’t think I really got down to the heart of what I meant by independence before, and probably can’t now either since it’s pretty complicated. But part of what I speak of is not letting our lives hinge off other peoples’ opinions so much, and not expecting other people to hinge off our opinions. Well, this is part of a larger conversation about conformity and how the the social group handles member who don’t conform. Sometimes people do need to be kicked out if they can’t conform to important norms about safety and playing nice with others, but there’s a lot of gray area involving harmless behaviors that don’t fit the norm. Church culture as it stands hardly has any leeway for people who don’t conform to the traditional middle-class goal of 2.5 kids and a white picket fence. And since church culture in general is terrible at distinguishing between harmful and harmless behaviors, combined with problems with compromising (and pridefulness over this inability to compromise), it’s geared itself up for irrelevance and extinction. And then their way to combat this is writing op-eds about “kids these days” and trying to shame us back in the fold. But since it’s terrible at the stated goal of shaming us back into the fold, I’m suspicious that the real, unstated goal is to make them feel better about themselves in their growing irrelevance. That’s just sort of how humans work, though. They have their beliefs and they seek out groups where they feel most comfortable and they tend to look at least a little askance at anyone that thinks or acts in ways that bother them a little too much. You probably notice it the most with Christians because that’s the group that’s happened to hurt you the most, which is understandable, but some liberal groups can do just as much ostracizing. And sometimes people will ostracize each other over practically nothing at all, and for reasons that don’t really have anything to do with a belief system. What I’ve noticed is that churches are actually pretty varied and exist on a spectrum. Like, some are more strict than others. My church is somewhat in the middle, which is one reason why I still go there when I have time even though I don’t agree with everything they say and do. Different people in each church will behave differently as well, and I know some people in my church are more pushy than others. But, I know there are also other churches out there that are super strict and toxic, and others that are more liberal. And then I’ve seen some Christian institutions that have clearly grown and changed over the years and are still changing a lot today(I saw this pretty starkly with the Christian college I went to for a couple years) One thing I noticed there is that lot of people were rushing around, hoping to find someone to marry, and for some reason I guess that was the tradition over there. There was that whole ‘Ring by spring’ saying that got thrown around a lot. But, there were people questioning it, and some of them were authority figures. In fact, there was a Bible teacher over there that never was interested in marrying and doesn’t mind admitting that he avoids romantic relationships. He was seen as a bit of a mentor for people that feel stressed out about not finding ‘the one’ yet. That whole culture made it interesting when interacting around campus, because there were some people that subscribed to that rush-to-marriage culture and, although they weren’t ever pushy or critical toward me for not being a part of it, I don’t think they understood why I didn’t care about it. Maybe those people thought I was a little weird, but it’s not like they actually antagonized me about it. And, well, it wouldn’t necessarily be fair to criticize them for thinking that I’m weird/wrong/whatever when I did have my own moments where I thought THEIR attitude toward romance was weird and wrong. So, like…I don’t know. I agree that some Christian cultures are like that, but I’ve seen many that aren’t, or at least not nearly to the extent that you say. But then I guess it also depends on where your line is. Like, are we supposed to get angry at any Christian/conservative that even slightly disagrees or disapproves of us, or are we going to let them have their opinions and only get angry when they actually try to force us into something? Depends on whether you take the descriptive or proscriptive stance on issues. Some of it is basic sociology, but human society can be changed, which is why we don’t have child labor anymore. It should be a little bit of both, I think. One thing here is making a distinction between underlying instincts, tendencies, personality traits, etc., and the way those things manifest. 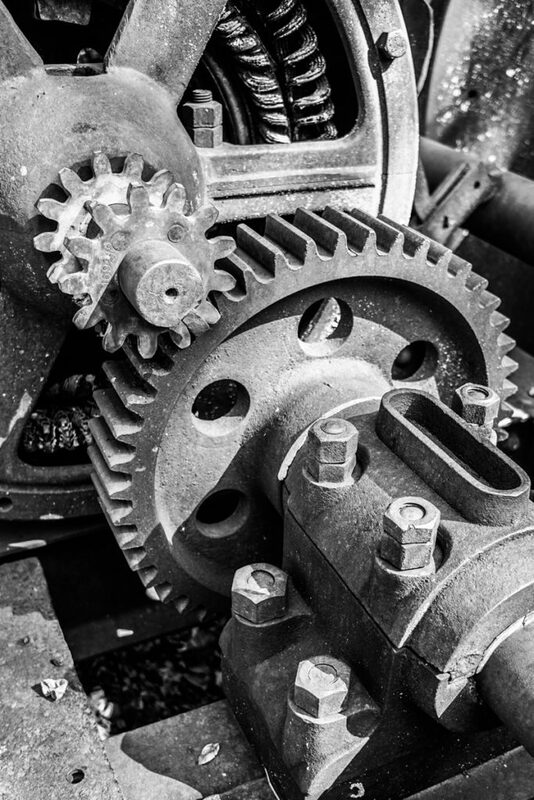 Underlying traits tend to be there no matter what(of course identifying underlying traits isn’t always easy) and underlying traits shouldn’t necessarily be eliminated because, in a lot of cases, we actually need them. Child labor, for instance, would be a manifestation, but human greed and/or survival instinct are mostly innate. 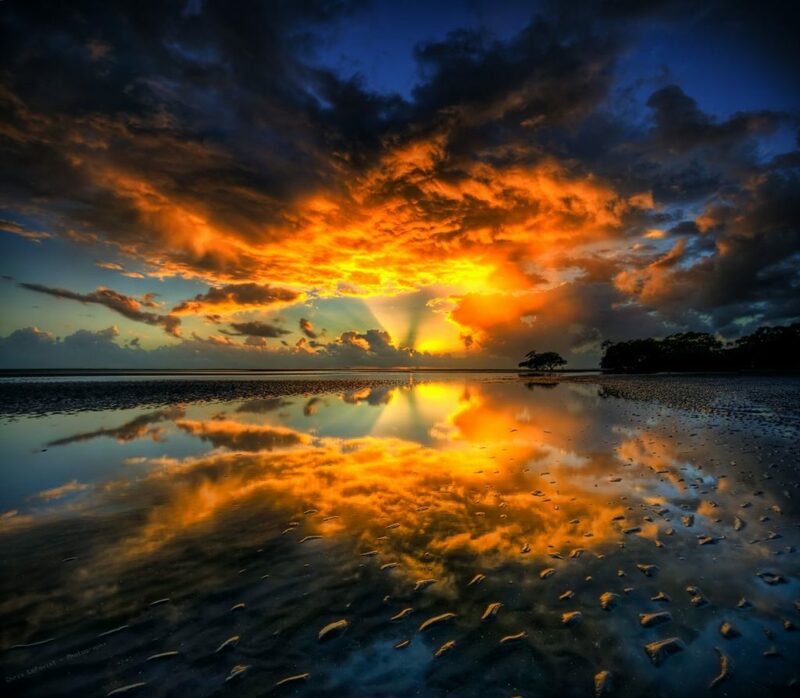 As far as changing the way behaviors manifest, that can be done to some degree and in many cases is a good thing. In the case of church, yes, we can slowly change how more problematic people in the church sees things(and in spite of your pessimism toward growing irrelevancy, the church and Christianity IS changing) But humans will probably always form their own standards and look askance at people that don’t adhere to those standards. Or, at least, it will be that way for a long while. Insert dark joke about how humanity progresses one death at a time. Your observation of respectability politics is valid, but I don’t understand how you reach that conclusion from this article. Consider again Stephen’s application of the WSC statement. How does genuinely glorifying God (which by necessity means humbling ourselves) and enjoying God — not just the things He has made or given us, but God himself — promulgate what you describe? Is it not instead our own sinful pride that leads us down the “respectability” route? Re: Christian culture and enjoyment: “Christian culture” (especially its American version) is an atrociously hot mess of contradictions, hypocrisies, and inconsistencies. Let’s not confuse the Truth with the failings of all of us who profess to love and follow it. Probably a good part of it is just simple framing. He’s focusing on individual humbling, but I think the better tactic is to remember that other people are People too, they have their own thoughts and stories where you are just a bit-part character. Maybe we should have a post talking about white-knight-type fantasies and how they leech into the stories we tell ourselves and about ourselves. And tho everybody does it, Not Everything Is About You (generic you, not you personally). Maybe we should practice Rashomon-style storytelling (Rashomon is an Akira Kurosawa movie, is worth watching). notleia, I’ll basically second everything Brennan wrote here. Christians don’t talk about the enjoyment of life. What do you call what you just read, then? If you want a whole book about it, see Randy Alcorn’s book Happiness. It’s a natural followup to his book Heaven. Please read either of these books. Else you’ll risk creeping into/staying in the Dark Side, where you only approximate “happiness” for yourself while being annoyed because Those Bad Christians out there think and behave wrongly. If you are never able to dance happily around them in true Christian freedom, and only ever talk about them in internet comments sections–then they still own you. I don’t remember who originated it, but you’ve probably read the articles creating a dichotomy between “happiness” and “joy.” I think it’s a pretty false dichotomy (chances are you think so, too), but it’s pretty illustrative of the idea of what is and is not permissable enjoyment in Christian subculture.